It might be just five miles from Gatwick airport in West Sussex, but the great-value, friendly Gatwick Europa hotel has a distinctly Mediterranean flavour. Its unusual architecture, palm trees and geometric floor tiles give it a North African feel - as you relax in the cool courtyard, you wouldn't believe you were just five miles from the airport at this Gatwick hotel. 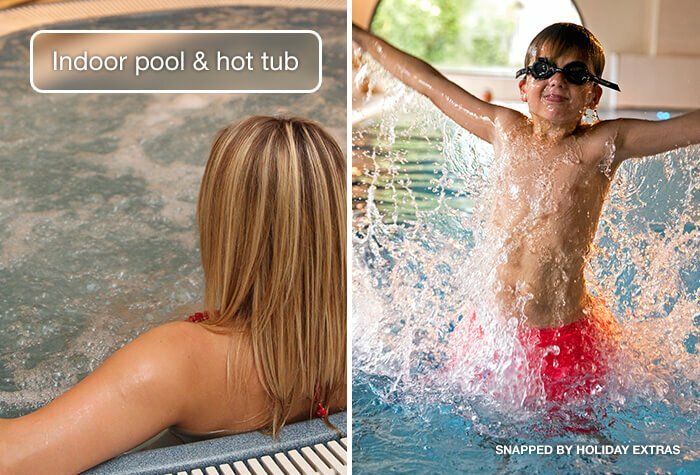 Unwind in the health club, with its pool, gym and sauna, or tuck into an all-you-can-eat roast dinner in the Mediterranee restaurant. As well as all this Mediterranean luxury, your car will be as comfortable as you are in the on-site Europa car park, which has 450 spaces, so you can be sure of finding a spot for your car. The car park is protected by CCTV, so your car will also be safe. The shuttlebus to the airport leaves every 45 minutes at peak times, and costs £5 per adult for a return. See our Getting there tab for more information and directions. We had a really loud guest screaming and shouting outside out room at 1am and the the fire alarm went off at 3am. There was no apology or anything from the staff. Other than that the hotel and parking was ok.
Room comfy Taxi arrived on time. Straight forward booking. Check-in at hotel easy and no problem with accomodation. Tea & coffee provided. Ate dinner at hotel bar. Food well presented. 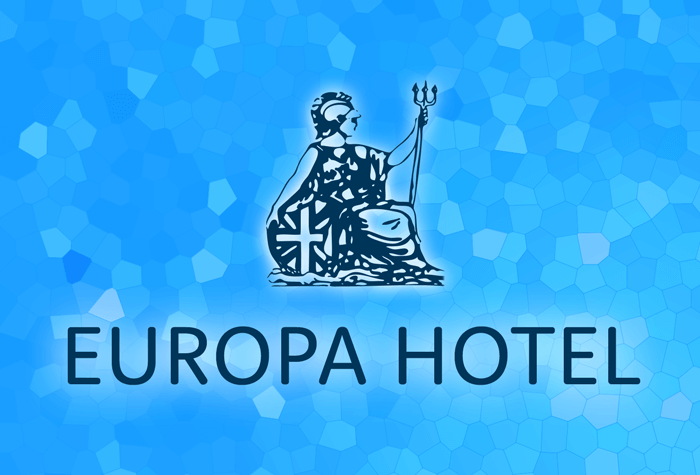 Our customers rated Europa on average 7/10 (900 reviews). Read Europa reviews. 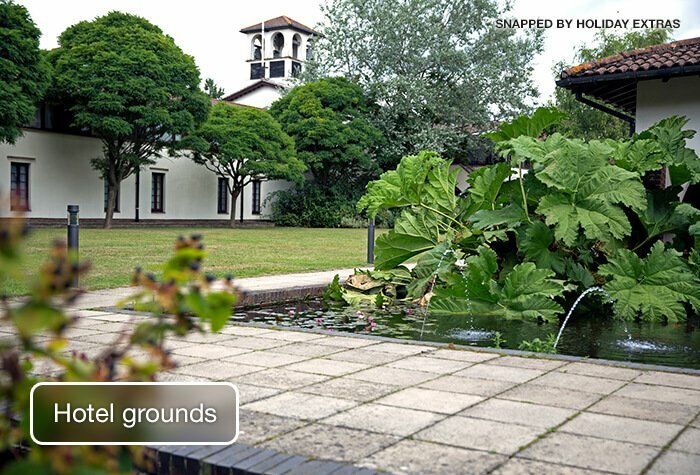 Keeping with the theme, the Mediterranee restaurant, overlooking the hotels beautiful courtyard garden, offers a breakfast buffet to get your day off to a hale and hearty start, and a self-service carvery in the evenings. The cosy Rafters bar offers light meals from noon till late, as well as a selection of wines, beers and soft drinks. 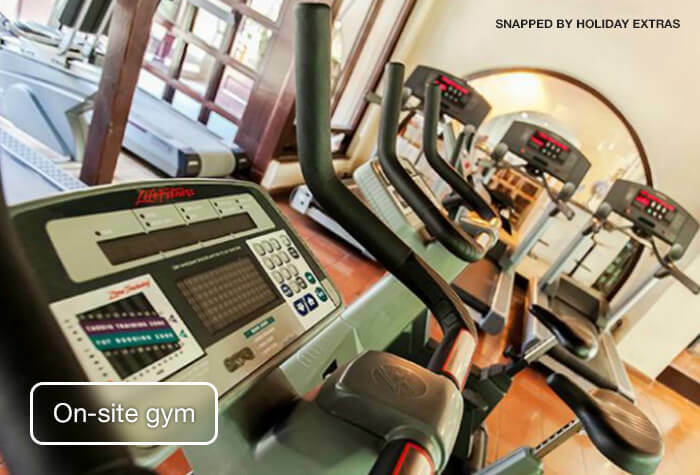 The hotel also has a Spindles health club on site that has a light, spacious gym with free and fixed weights, bikes and treadmills, and an extravagant, heated indoor swimming pool, designed to flow around Spanish-style archways. There's even a sauna, a steam room and a hot tub. Exotic atmosphere - Its unique decor makes it feel more like a Spanish hacienda than an airport hotel. Health and leisure - Take care of yourself in the fully-equipped gym, indoor pool, hot tub, sauna and steam room, and get a head-start on your holiday tan in the solarium. Families and groups - The hotel has more than 60 family rooms, and can provide a cot if you need one; even pets are welcome. The hotel offers free, overnight parking on-site if you need it. This package doesnt include parking while youre away. If you need parking for the duration of your trip, search for an airport hotel with parking package instead. 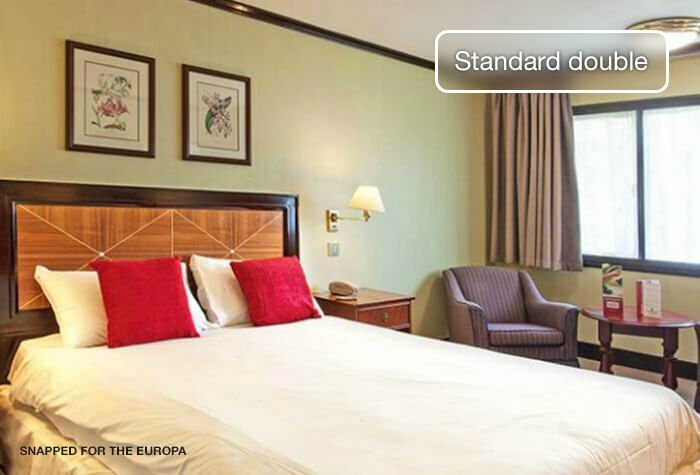 The Europa is a 15-minute drive from the airport in good traffic. Driving instructions and a postcode for satnavs will be on your confirmation email if you need them. Travelling by train? The nearest station is Three Bridges Crawley. Its about 6-minutes drive from there to the hotel by taxi. Rooms at the Europa are simple but practical. A standard room has one double bed. 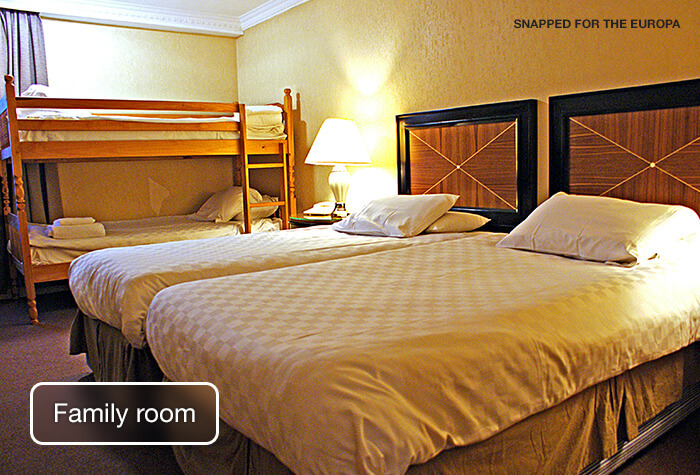 The Triple Room layout includes 3 single beds. The Family Room layout includes 1 double bed and 1 bunk bed. Please note the family room sleeps up to 2 adults and 2 children, the child age limit is 14 and under. 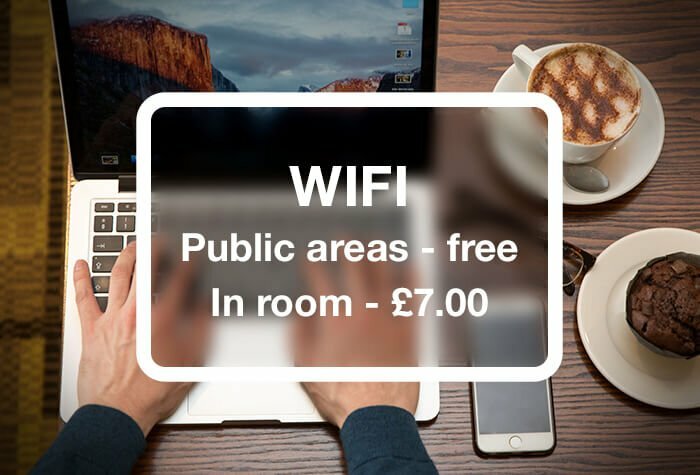 Theres free wifi in public areas throughout the hotel. It is also available in rooms for up to 20 minutes. You can upgrade to 24-hours access for £7. Guests tell us its fast enough for checking emails and surfing the web. 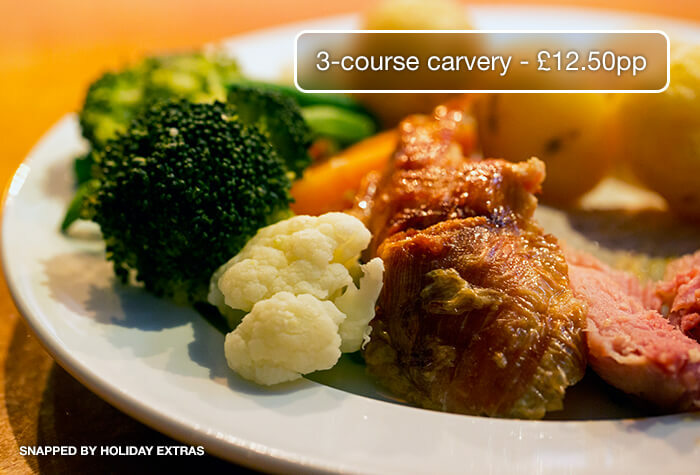 Mediterranee Restaurant - serves a traditional carvery with a choice of meats. 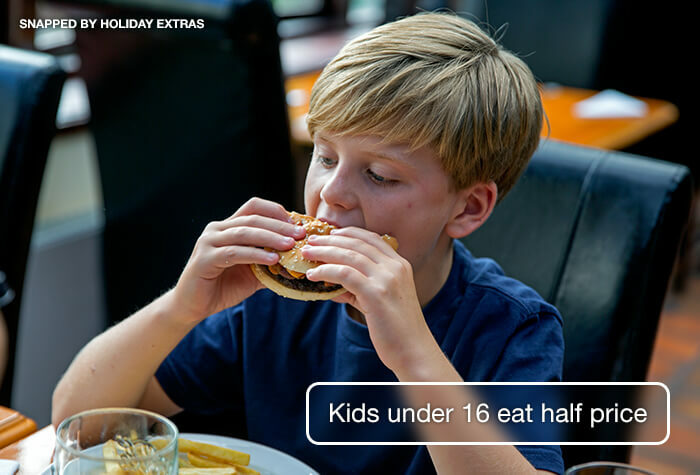 The 3-course carvery costs £12.50pp when you book in advance through us and Kids under 16 eat half-price. Rafters Bar - serves a range of soft drinks, beer, wines, spirits and snacks. Is a full English and Continental breakfast where you can eat as much as you like. It's £9.95 for the Continental and £11.50 for the Full English breakfast on the day. Request a room on the ground floor if youve got lots of luggage, as there isnt a lift. For even more space in your room, upgrade to a Luxury room for £10 on the next page. Disabled facilities The hotel has accessible parking spaces, a ramp to the entrance and induction loops. 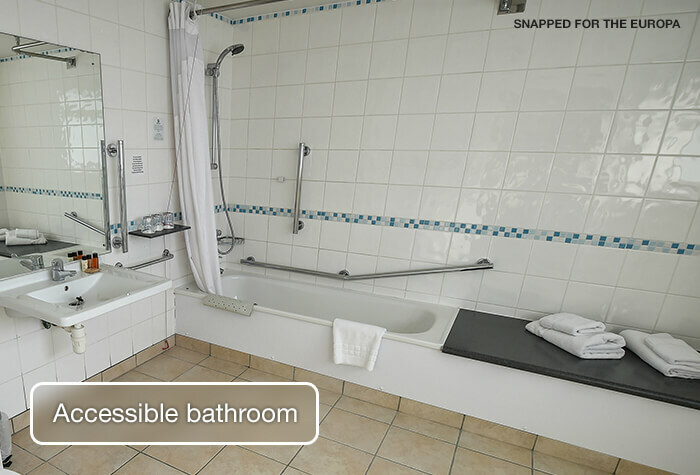 Accessible rooms are also available on the ground floor, which includes emergency pull cords, grab rails and wet rooms.